Dr. Ken Kronhaus reveals new information from research on E-Cigarettes that indicate they could promote a greater risk of a nicotine habit and even Cancer. 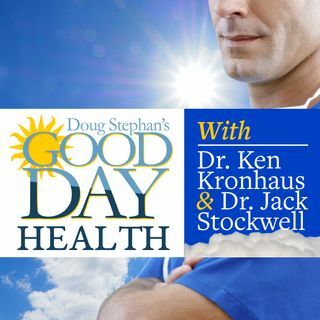 Host Doug Stephan and Dr. Ken discuss the many healing benefits of Mindful Meditation, and a new alternative to Chemotherapy for treating Lung Cancer. You might be surprised to learn Dr. Ken's favorite drug to prescribe. And finally, are you confused about the Medicare subparts A, B, C and D? Dr. Ken and Doug make them clear.